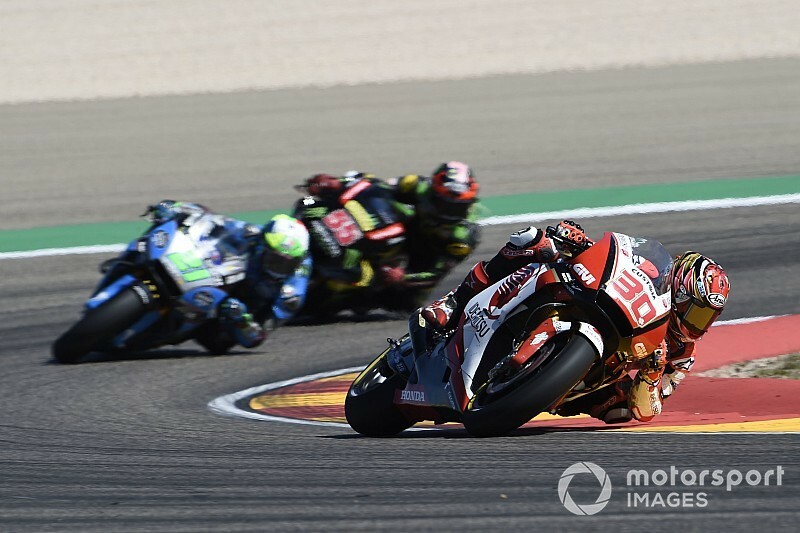 Honda MotoGP protege Takaaki Nakagami admits he squandered a “big opportunity” to score his first top-10 finish in the Aragon Grand Prix. 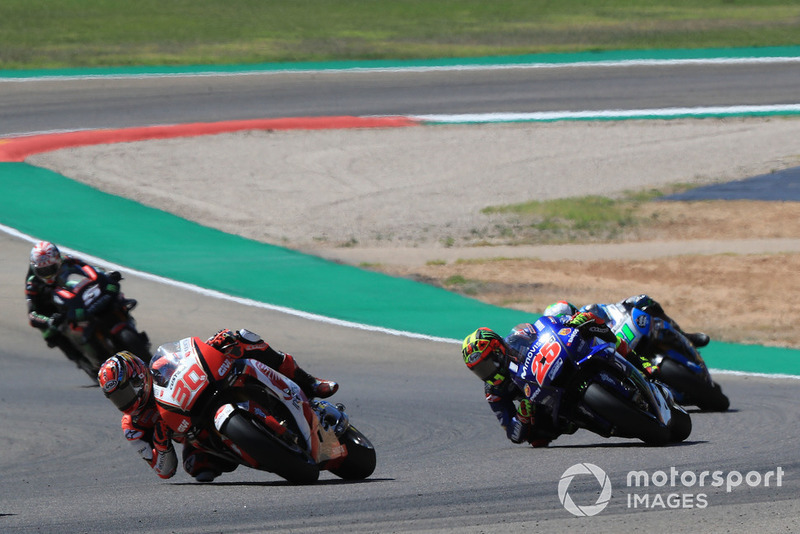 Nakagami made it through to Q2 for the third time at the Motorland circuit last weekend, and he followed that up with a strong start from his grid slot of 11th to grab seventh after the opening sequence of turns. But the Japanese rider was unable to maintain his lofty position, slipping to 12th at the end of the opening lap after making an error while fighting the Aprilia of Aleix Espargaro. He finished in the same position, behind fellow Honda-mounted rookie Franco Morbidelli, matching his best result so far – but he was left to wonder what might have been. “[I was in a] really good position after Turn 1,” Nakagami told Motorsport.com, “because everybody was all together into the really tight corner, everybody was so close. “I saw a space and I let my bike go in, I took a couple of positions. I didn’t expect to overtake Cal [Crutchlow, LCR teammate]. “But after that I did a big mistake between Turns 5 and 6, [I was in a] big fight with Aleix and I missed a gear. Having dropped to 12th on lap one, Nakagami then found himself in the unusual position of trying to fend off the Yamaha of Valentino Rossi, who had started down in 17th. The 26-year-old said he was able to pick up a few tips from shadowing Rossi, even if he ultimately had no answer for the Italian’s pace after a few laps of battling him. “Normally Valentino is quite far away and I never follow him in the race; it was a good chance to see,” recalled Nakagami. “He was struggling, but even like this he’s a little bit faster than me. “I saw a little bit his riding style and how they [top riders] pick up the bike in slow corners, also medium-speed and high-speed corners. Nakagami’s future at the LCR Honda squad has yet to be formally confirmed, although it appears certain he will be granted a second year with the team. 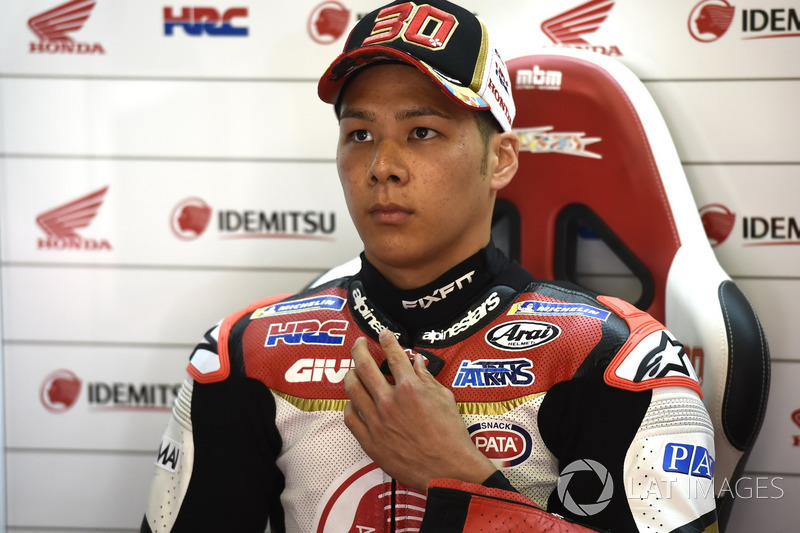 Having previously doubted if he’d done enough to satisfy his Honda bosses, Nakagami said his recent run of form – which has yield eight points in the last three races – has made him more confident of being able to stay on at LCR. 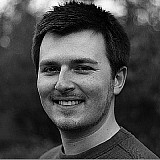 “From Silverstone I’ve increased a bit the performance, before Silverstone it was a difficult situation,” he said. “I hope HRC is happy with the performance.